Westfield Matildas stars Caitlin Foord and Steph Catley. Australia will meet Rio Olympics silver medallists Sweden in their opening match of the 2017 Algarve Cup as the full fixtures were released this week. Last year the Matildas received their first invitation in 15 years and will enter the tournament as the second ranked nation behind Olympic bronze medallists Canada. Placed in Group C alongside the Swedes (8), the Netherlands (12) and AFC compatriots China (13), the Matildas are set to play 4 matches in 8 days commencing 1 March 2017. 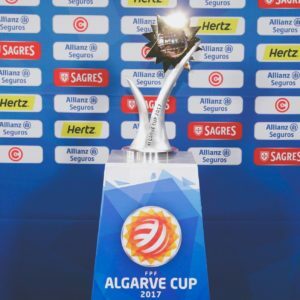 The Algarve Cup presents an opportunity for head coach Alen Stajcic to begin the assessment of players as the next four year women’s football cycle commences. “We have to pick a new team going into the next four year cycle,” said Stajcic on the Round 12 W-League coverage. Stajcic announced that the squad will be selected in mid-February with the first camp commencing on 15 February. Fresh faces are anticipated to join the camp as the coaching staff utilise the low pressure time period to evaluate and cultivate players to take the team through to Tokyo 2020. 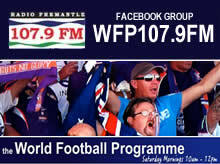 First step is the Algarve Cup and, with all three nations ranked in the world top 15, Stajcic has an opportunity to evaluate any potential new players against top level competition. As for the tournament itself, the 12 teams will play round robin format with the teams ranked to determine placement matches. While matches in 2015 and 2016 were televised or streamed, there has yet to be indication where this will be the case in 2017. We will have full coverage of the 2017 Algarve Cup commencing 27 February 2017.